16-year-old Joshua Edwards-Smith broke an Australian age record on day 3 of the Age Championshoips, going 55.01 in the 100 back. The swimming has kicked off at the 2018 Invictus Games in Sydney after the Games were opened by Prince Harry last week. This international sporting event was created by Prince Harry to aid the recovery of wounded, injured and ill service men and women. 500 competitors from 18 countries will compete in 12 sports across the week including 90 US veterans. 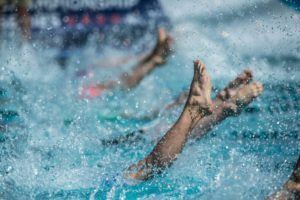 The swimming events are all 50 metres including freestyle, backstroke and breaststroke plus relays and 100 metres freestyle. There are 4 categories based on the athlete’s impairments. The Australian Team looked sharp in their new swimwear supplied by Aussie brands Funky Trunks and Funkita. The Australia team captain Thomas Foster said the association with the brands was important for the team because of the common values between his team and the brands to support one another and to enjoy the journey. 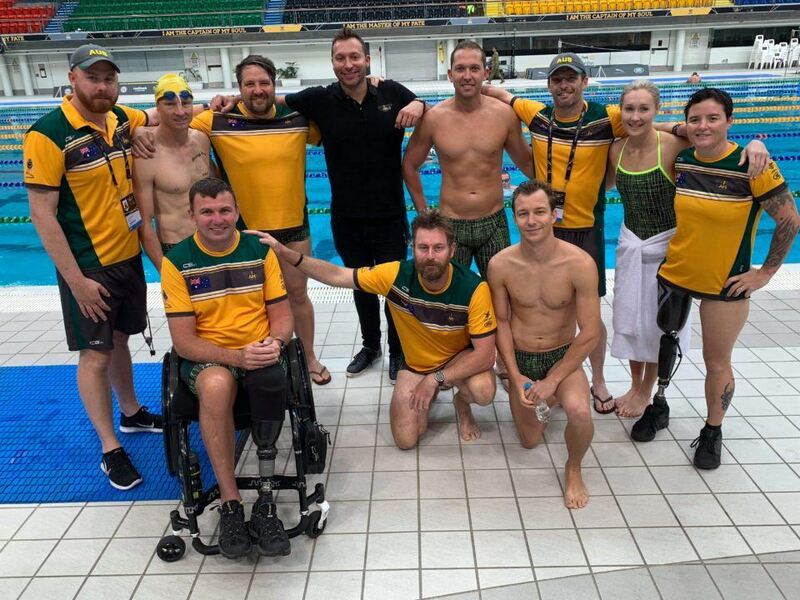 Australian swimming legend Ian Thorpe was on hand to give the team some pre-competition support, and perhaps some tips on how to beat the Americans in the relay at the pool of the 2000 Sydney Olympics. Funky Trunks and Funkita, a SwimSwam partner. 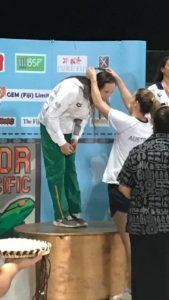 On the highlights show yesterday, there were some fast times being swum ! Great effort everyone. And wonderful encouragement By the crowd and fellow competitors. Awesome event. Shows what sport can do.